Mrs. 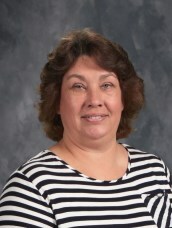 Dawn Schultz has been in the teaching ministry for 28 yrs and is currently our 8th grade Home Room teacher. After growing up in a southwest suburb of Chicago, she received her degree in Elementary Education from Concordia University, Chicago in 1990. She is married to Tom, and they have one son, Mark, who is married to Taylor. Mrs. Schultz’s primary responsibility is teaching Language Arts and physical education to our junior high students. She also serves as Athletic Director and Assistant Principal. After school hours, you can find her in the gym coaching or preparing for our home athletic events. Outside of Calvary, she loves camping, traveling and watching the WI Badgers or Green Bay Packers.